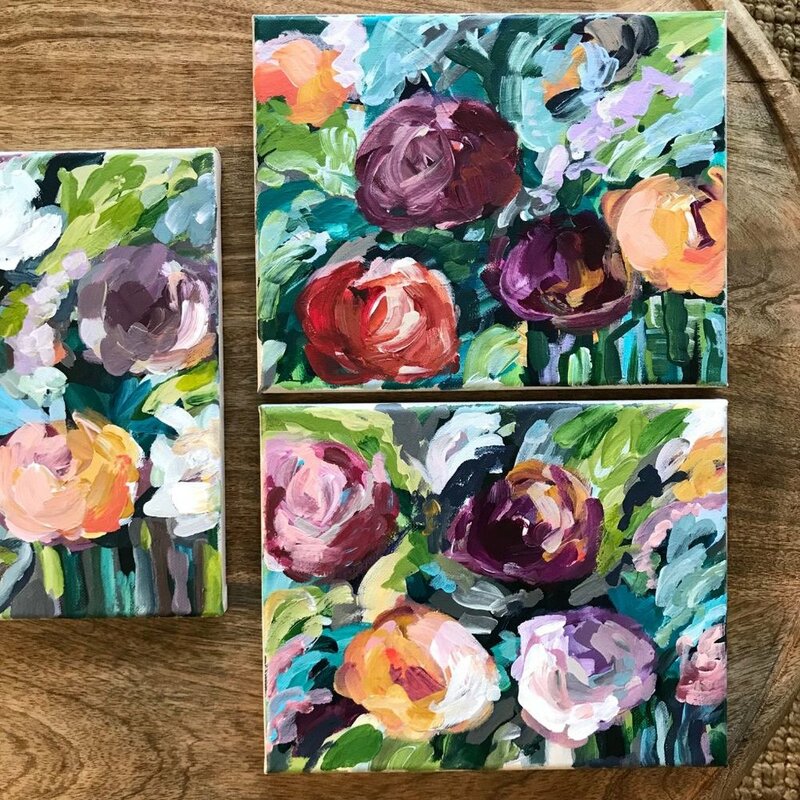 It’s been way too long since I’ve released any new work so tomorrow I’m adding five new small floral paintings to my website. This will likely be the only release before Mother’s Day if you want to snag one for a unique one of a kind Mother’s Day gift! 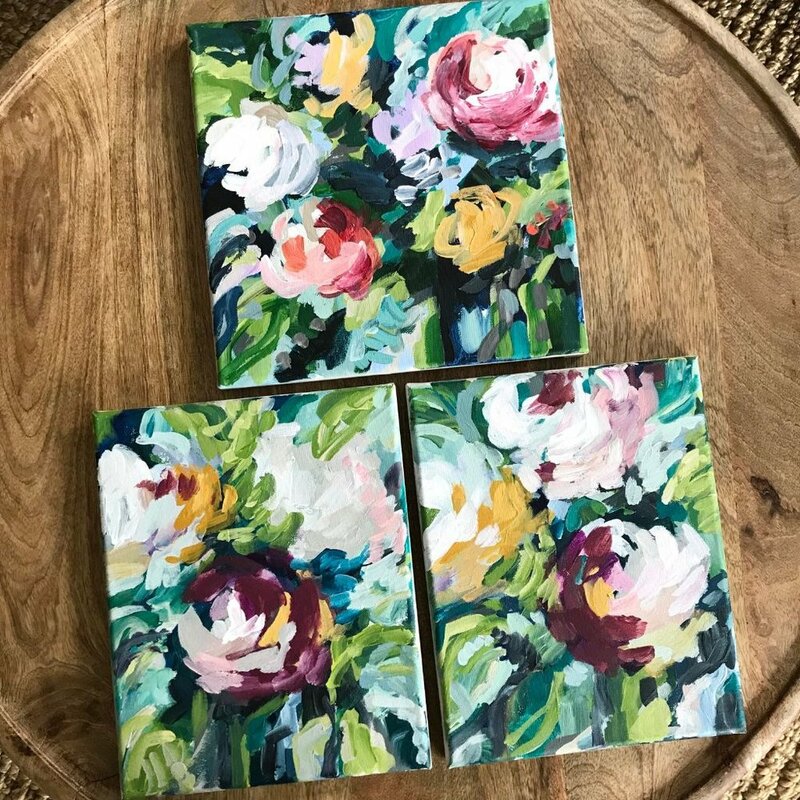 These are definitely some of my favorite florals from my latest series of small paintings. That pop of red is definitely my favorite. Here’s a little peek at a new painting. Here’s a tiny peek at my painting process. When I first started painting I did not work from a sketch book or photo. Now I work from either an image or a fresh floral arrangement. I start with a quick sketch then figure out a color palette. The second photo is how I start most of my paintings - with lots of colorful layers. Sometimes I mark the canvas with chalk when I’m trying to be careful and other times I just have at it with reckless abandon. The chalk will wipe away easily with a paper towel and a spritz of water. Happy painting! The painting on the right is a new small floral piece I painted this week. It’s 8x10 inches and will be available on my website soon! If you saw my last post about mixing your own orange paint, you’ll see that I used the paint I mixed for this piece. 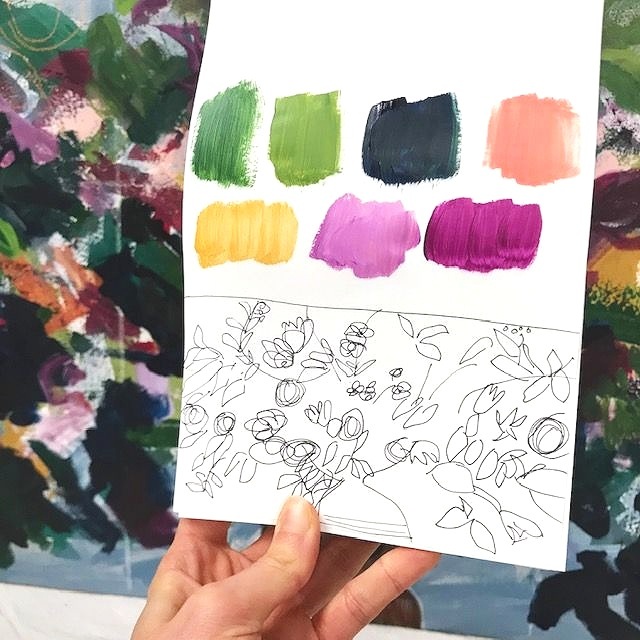 I’m forever mixing all of the colors on my palette with varying degrees of success. Orange is one color that I find to be garish right now of the tube so today I was playing around with some of the red and yellow paints that I have to see what shades of orange I could produce. 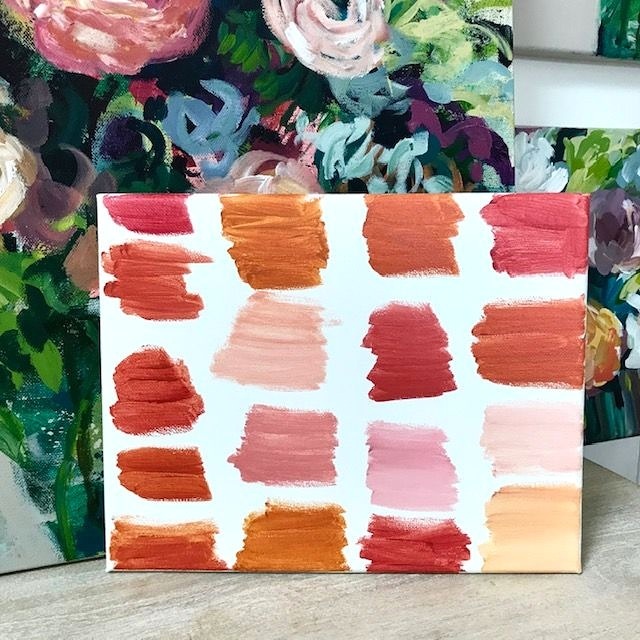 I made all of these different shades of orange, pink, and peach with just three colors, yellow oxide, alizarin crimson hue, and white. I’d love to hear what colors you mix to create orange. 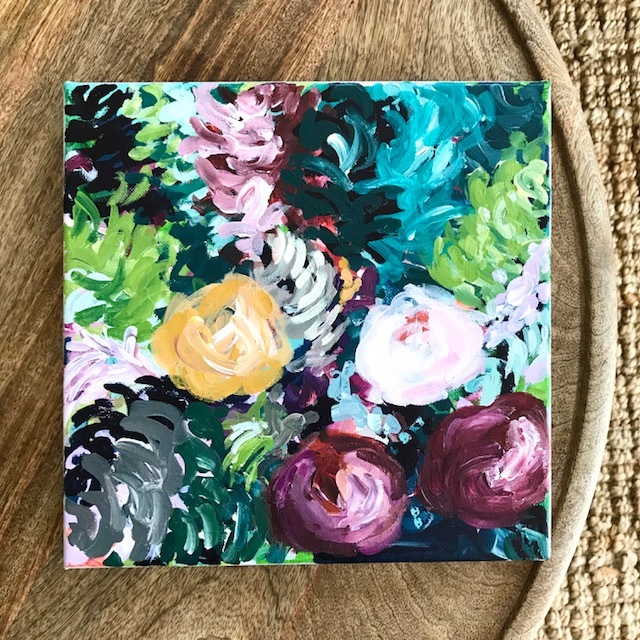 I’ve been working on a lot of small abstract floral paintings for the spring and summer! I’ll probably release a few on my website but I’m saving most of them for handmade markets this summer. My 31 days of painting challenge has ended and I came up 3 short of my goal but I still consider that to be huge success! These small paintings took a lot longer to make than I anticipated so there were some days where finishing one wasn't going to happen. 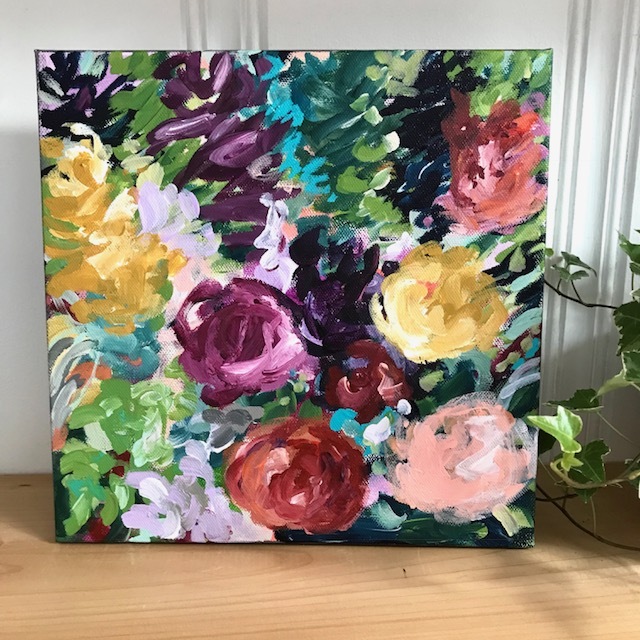 I am going to add 3 more paintings to my site under the Blossoming Series because I do want to offer 31 paintings for $31 as I originally said I would. Here are some of my favorites in the series!